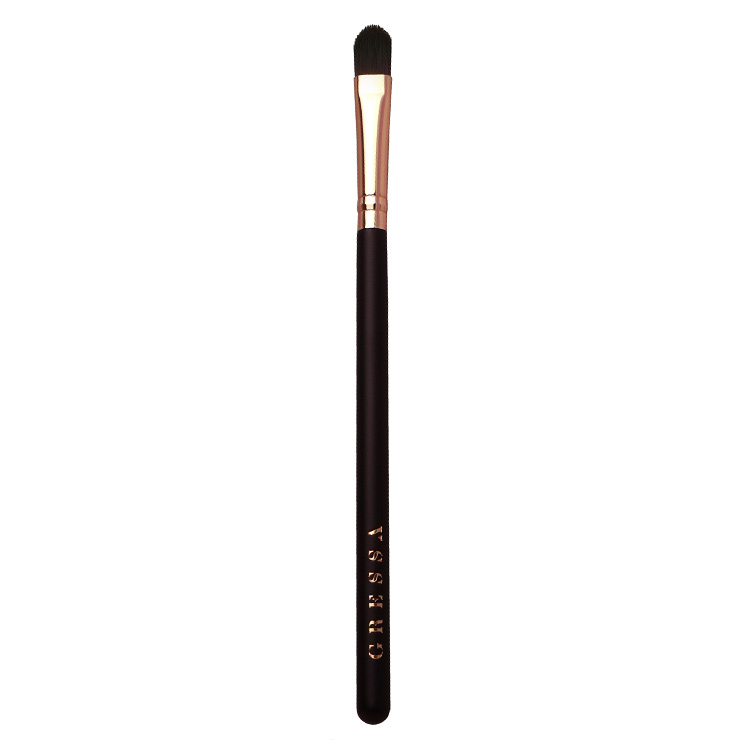 Gressa's Cream Shadow Brush is a handcrafted applicator made with vegan materials. Efficient and easy to use, the Cream Shadow Brush is perfect to create an overall, elegant shadow. Use brush to sweep color all over the lid for even, elegant application. Cream shadows do indeed need a specific type of brush. When I bought the Gressa cream eye shadow, I tried to use a regular powder eye shadow brush. It did not pick up the product well, as Grease's cream shadows are harder and more pigment rich than typical oily cream shadows. I am too lame to use my fingers without my makeup looking...like I finger painted. That's apparently an acquired skill I have not learned yet. This cream shadow brush is well made, works perfectly, and is gentle on your eyes. Use the right tool for the job. Also, be scrupulous about cleaning your brushes without damaging them, especially for eye makeup.